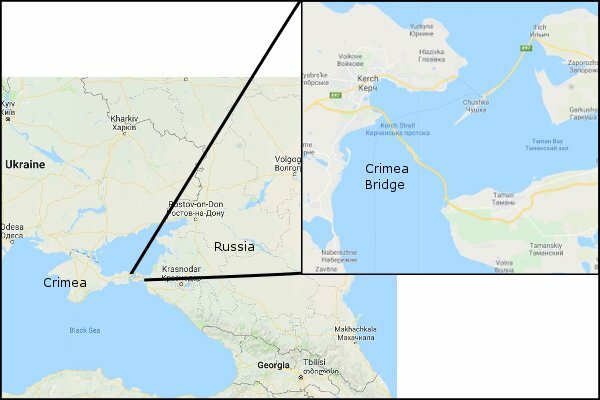 The Russians have hailed what they Describe as the “construction of the century” by opening a new road bridge linking the Russian mainland to the Autonomous Republic of Crimea. 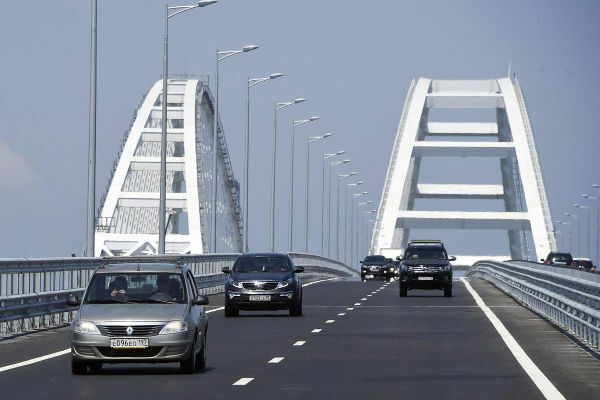 The four lane road bridge which spans the Kerch Strait, is 16.9km (10.5 miles) in length, and replaces the Portuguese Vasco de Gama Bridge (12.3km) as Europes longest road bridge. A double track rail track bridge was also constructed alongside the road bridge which is longer again at 18.1 km (11.2 miles). Crimea was formerly an autonomous Republic of Ukraine until the Ukrainian revolution in 2014 which saw the Ukrainian President overthrown. Russia moved quickly to annex Crimea in the confusion, citing a long held belief Crimea had been a Russian territory in the past. After a Russian backed referendum, Crimea became a subject of the Russian Federation, despite an outcry from the international community. Despite many countries in the West still recognizing Crimea as part of Ukraine, it is now controlled and governed by Russia, which will undoubtedly continue for the foreseeable future. 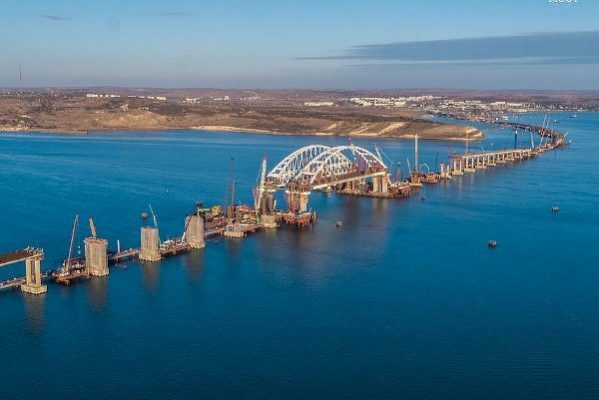 Construction on the bridge began in May 2015, as a means for the Russians to access Crimea by road. Previously it was only accessible by sea or air. The bridge was opened on May the 15th 2018, reportedly six months ahead of schedule. 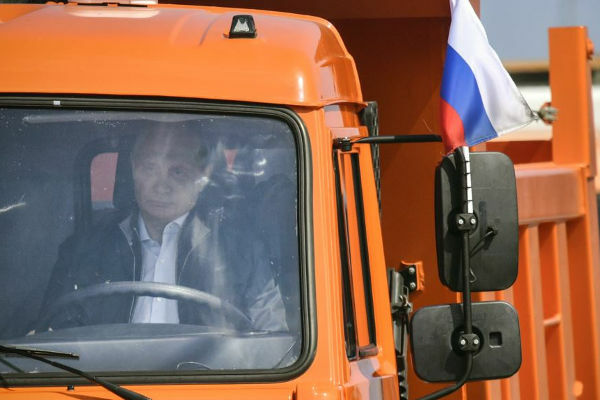 Russian president Vladimir Putin open the bridge by personally driving an orange Kamaz truck across the bridge as part of a larger convoy, after which he performed an inauguration ceremony on the Crimean side. The Crimea Bridge was opened for public traffic the following day on the 16th of May 2018. Vladimir Putin At The Opening of the Crimea Bridge, Leading a Convoy Across the Bridge. The bridge cost an estimated total of $3.7bn (£2.7bn) to complete, and according to Russian authorities it is capable of carrying 40,000 cars per day. It is hoped this will create a huge boost for Russian-Crimean tourism, which previously relied on an aging and inefficient ferry system. Crimea will also benefit from increased industrial and agricultural trade between the Russian mainland, which is still under international sanctions. 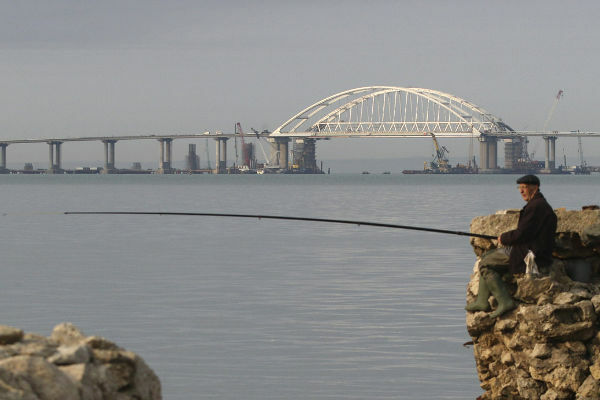 We hope you enjoyed our article on the new Crimea Bridge connecting Russia and Crimea. If you would like to add any comments please do son in the comments section below. Next Post: Win $1,000 To Spend On Outdoor Gear In Our Summer Giveaway!